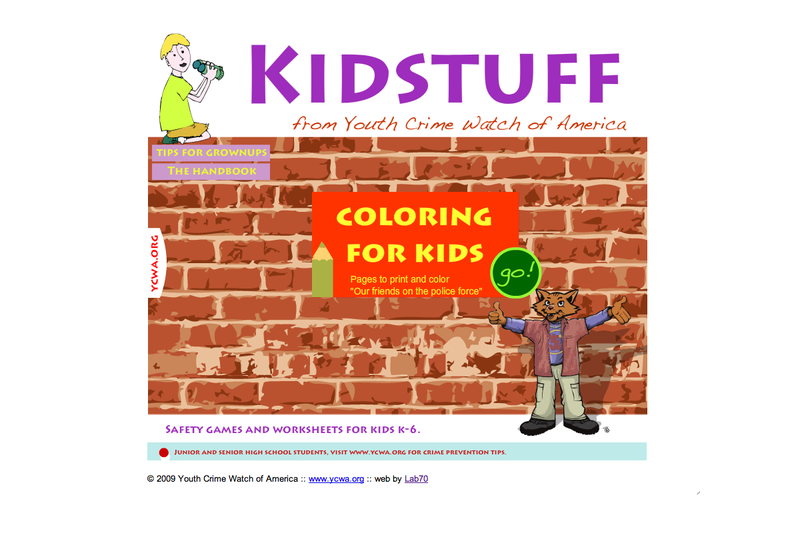 An online portal targeting an elementary school audience and their caregivers. Part of a crime prevention program. Created in Flash with rollovers, audio, and animated elements.